The location for Monday’s rally in Harlingen was changed from UTRGV’s campus to Christian Fellowship Church, located at 901 TX-499 Loop. University officials said the change of venue was due to the size of the event. With early voting underway, U.S. Sen. Ted Cruz will hold his first Rio Grande Valley campaign event since April on Monday, as he tries to hold off a challenge from Democrat U.S. Rep. Beto O’Rourke. U.S. 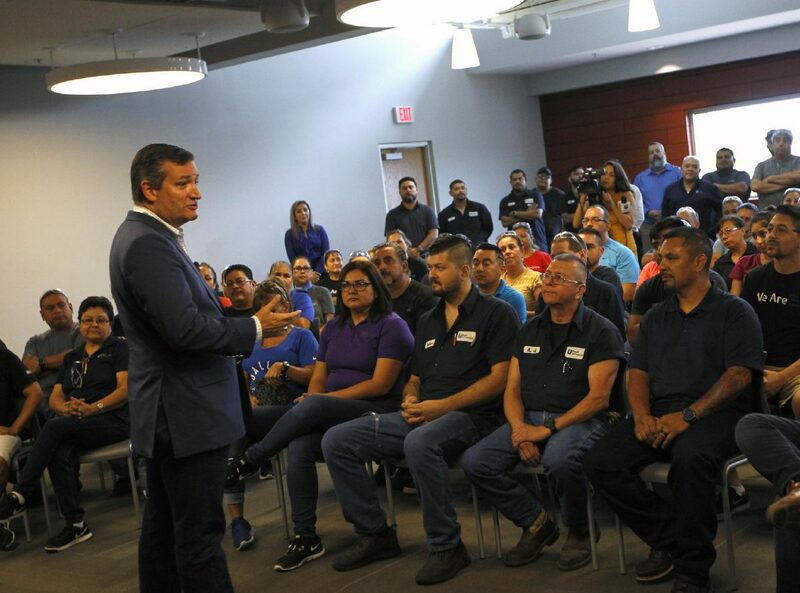 Senator Ted Cruz speaks to employees of Royal Technologies on Tuesday August 22, 2017 in Mission. Cruz’s first event on Monday will be a rally at the University of Texas Rio Grande Valley in Harlingen, followed by an event at Royal Technologies in Mission, before continuing his bus tour to Laredo, and around the state. Recent polls have Cruz pulling away from O’Rourke, who has visited South Texas several times in the last month in hopes of turning out more voters in the Valley voting community, where turnout has been low. Most recently, O’Rourke appeared in a CNN town hall in the McAllen Performing Arts Center last week. O’Rourke will return to the Valley on Nov. 1. Monday marks Cruz’s second visit to Royal Technologies, which supplies components to companies such as Toyota and Steelcase. 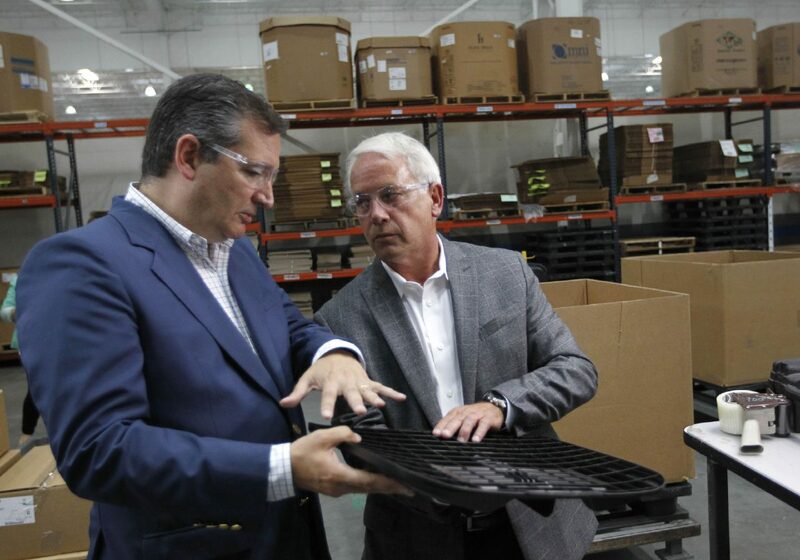 Cruz toured the plant floor in August 2017 on an official visit as a senator. Afterward, he conducted a roughly 75-person, employee town hall. Cruz held a 50-person, private fundraiser earlier this month in Edinburg. Before that, he campaigned in April in Edinburg. The Border Patrol’s roughly 18,000-member labor union, called the National Border Patrol Council, endorsed Cruz during that April campaign event. Historically, the union had never endorsed political candidates, until 2016 when the group endorsed Donald Trump for president.